The easy answer is, “All sorts of people!” Years ago, therapy had a stigma attached to it. It was believed you had to be either very disturbed or “weak” to seek it out. 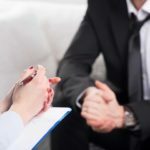 Fortunately, times have changed and now people from all walks of life and all different backgrounds go to counseling and it’s considered a normal and healthy resource. A wide range of people seek counseling for a variety of issues. Some of the reasons include desire for personal growth, navigating temporary bouts or long periods of depression or anxiety more effectively, managing stress, tackling substance abuse issues, improving relationships and communication skills and better understanding one’s past and how it impacts life, mood and relationships in the present day. Dynamic Change Counseling provides supportive and confidential psychotherapy to individuals, couples and families. Whatever your reason for considering counseling, I’m sure it’s a good one. If you are overwhelmed and it is causing undue stress don't suffer in silence. Shed the Superwoman/Superman image and seek assistance. Each person must find his or her own way of combining career, relationships, and personal care into an integrated whole. What is right for you now will likely change as new circumstances arise, so periodically review your situation and adjust accordingly. It takes a concerted effort to get in shape and a continued effort to stay that way. But those who commit themselves to this quest reap enormous health and quality-of-life benefits. 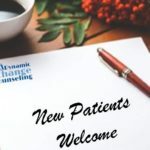 At Dynamic Change Counseling we help people explore thoughts, feelings, and behaviors, and seek to improve an individual’s and families well-being. Therapists may use one or more treatment modalities to find the right balance and treatment strategy. We create a personalize plan to help you work through the process of achieving a healthy you. Acceptance and Commitment Therapy (ACT) core message is accept what is out of your personal control, and commit to action that improves and enriches your life. From treatment one will learn psychological skills to deal with painful thoughts and feelings effectively and clarify what is truly important and meaningful. A person-centered counseling style which is designed to strengthen an individual’s motivation for, and movement towards a specific goal. During sessions one will explore ones own reasons for change within an atmosphere of acceptance and compassion. Cognitive Behavioral Therapy (CBT) employ a framework based upon the cognitive triangle which builds an understanding of the relationship between a person’s thoughts, feelings and behaviors. The therapist will guide individuals in order to identify negative thought patterns and behavior cycles while gaining positive coping skills. Through this understanding one will learn new ways of replacing maladaptive thoughts, feelings, and behaviors. Dialectical Behavior Therapy is a skills-based therapy that focuses on distress tolerance, mindfulness, emotions regulation and interpersonal effectiveness. As a whole, DBT is effective at helping people with overwhelming emotions. DBT assists people in learning how to manage their emotions by providing skills on how to manage stressful situations, remaining in the present moment, interacting and communicating with others, and helping people learn how to not act destructively or lose control.